Does your carpet experience high foot traffic on the daily? Think it’s high time you had it cleaned? 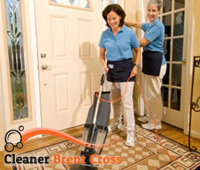 How about you use our carpet cleaning services in Brent Cross? Maybe we can help you to freshen your carpet and get rid of all those unpleasant stains and smells. We have been in this business for many years and if there is something we are good at, this is carpet cleaning. There is no doubt about it. We have all licences, certificates and cleaning supplies. We can be trusted. Get in touch with us. Our Brent Cross carpet cleaning is one of a kind. We use different approaches every time and we have tried-and-true cleaning methods. Our carpet cleaning service has many benefits. First off, you can have your items cleaned anywhere in the house, no matter where they are. We just need enough space so we can work. So, please just remove all furnishings near the item and we will clean it right where it is. It means you don’t have to take your carpet to another place. For your convenience we have a bunch of booking slots. Choose any day or time of week, from Monday to Sunday and we will visit you on the assigned date. It doesn’t matter if you need a weekend appointment or you are more comfortable with our booking slots throughout the week, we promise to be there for you just at the time you need us. We offer instant quotes. Our price estimates are no-obligation and very individual. The price depends on the number of items you want us to clean. There are no hidden charges and you can rest assured you get what you see. 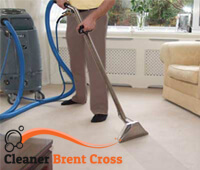 Just to remind you – our carpet cleaning services are provided in Brent Cross. Make sure to get in touch with us anytime and schedule an appointment for a day that suits you. We will be happy to help you out.